The talk would be Yiannopoulos's first public appearance in the city since protesters shut down his talk at DePaull University last year. 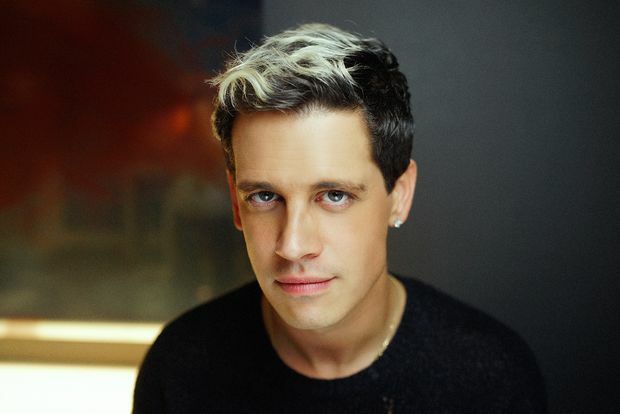 CHICAGO — Alt-right author and provocateur Milo Yiannopoulos has booked a speaking engagement in Portage Park next month, planning his first public event in the city since protesters shut down his talk at DePaul University last year. Patio Theater, 6008 W. Irving Park Road, scheduled the event for Nov. 13, advertised as part of Yiannopolos's Troll Academy Tour. The tour includes 11 stops in the United States and Australia between Friday and Dec. 7, eight of which list a "secret location" instead of posted addresses. Yiannopoulos, a former editor of Breitbart who came to national prominence by inflaming the "Gamergate" controversy targeting female technology bloggers, grew into a leading voice for the "alt-right" white nationalist movement in the lead-up to the 2016 election. Patio Theater operator Charlie Burns called the booking a "non-political decision," writing in a Thursday email that Yiannopoulos's publishing representatives are "very well known and requested to rent the theater for this part of the book tour." "We reached out to local officials to let them know about this event and had no negative feedback," Burns added. "We will take proper security precautions to make sure the tour, fans and any protesters are safe and respected during the event." Ald. Nicholas Sposato (38th) has discussed the booking with Jefferson Park Police District Cmdr. Bill Looney, and both have affirmed the theater's 1st Amendment right to hold its event, Sposato said. "I can't tell people what they can and can't do — I wouldn't be able to tell a bar what kind of DJ they can have," Sposato said. "If anyone's upset about it, my advice would be to stay away from it. Protesting would just give them more attention." Still, the plan is making some of the theater's neighbors nervous. Melissa Basilone, who co-owns four businesses in the 6000 block of West Irving Park Road and runs the Irving-Austin Business District with her husband, Joe, called the event booking "deeply disturbing." The Basilones will open up their Perkolator Cafe and Charley Noble sandwich shop to host potential protesters while they make signs, they said. In May 2016, tension gripped DePaul's campus after a student led a group of Black Lives Matter protesters onto the stage during an event with Yiannopoulos hosted by campus Republicans. The student, Edward Ward, said he was inundated with violent and racist threats after the incident, and a noose was later found on campus. Yiannopolous resigned from his post at Breitbart in February after video surfaced of him appearing to defend pedophilia. The revelation led publisher Simon & Schuster to cancel a deal to print Yiannopolous's memoir "Dangerous," but he later published the book on his own. Posters advertising the book popped up at some CTA stations earlier this year, including the Jefferson Park Transit Center, prompting a backlash from some commuters. As of midday Thursday, almost 50 people had RSVP'd to the Facebook event for the Patio Theater talk.